The Ageas Bowl has seen unprecedented demand for tickets to next year’s Royal London one-day international between England and Pakistan, after record-breaking sales followed the commencement of a priority on-sale period last week. The home of Hampshire Cricket will host the third 50-over fixture of the five-match series between the two sides next May. The priority period, which opened on Thursday, October 4, has received overwhelming interest, with more priority tickets sold than for any other previous one-day international or Twenty20 fixture staged at the venue. 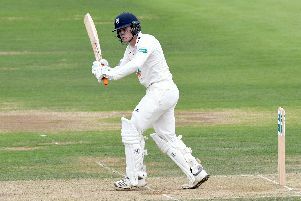 This early demand follows after a thrilling Test contested by England and India at the Ageas Bowl in August. More than 50,000 fans attended across four days of action, with Joe Root’s side’s sealing the series with a 60-run victory. The opening day of priority access this year also saw more tickets sold for next year’s one-day international than for all days of the England v India Test combined last year. The Ageas Bowl’s chief executive officer, David Mann, said: ‘After the overwhelming success of this year’s Test match between England and India at the Ageas Bowl, it’s very pleasing to see this unprecedented demand continuing through our priority on-sale period ahead of next summer’s one-day international. Following the conclusion of the priority booking period, tickets will be released for general sale at 10am today. Tickets are priced from £40 for Adults and £15 for under-17s. However, the lowest-priced seats are expected to be snapped up quickly this week. 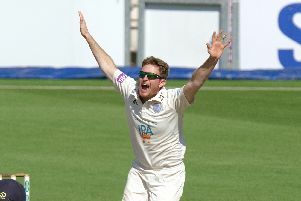 To purchase tickets, visit www.ageasbowl.com, call 0844 847 1863 or visit the Ageas Bowl ticket office during normal working hours.